Family Room: Hardwood Flooring & Cstm Srrnd GasLog Fireplace! MLS#2216476. 1128. FamRoom: crown Mldng, Cstm Slate Stone Srrnd Gas Log Fireplace! Dining Room: Coffered Ceiling! MLS#2216270. 1128. Heritage - Upgraded features include fresh interior paint and new carpet in select rooms. MLS#2216269. 4823. Hasentree - Best of all, the Lawn maintenance & Irrigation are included in your monthly HOA Club Villa Dues. *THE TOLL BROTHERS "DEERFIELD" PLAN MLS#2216194. 514. MstrBath: Barn Door Entry, Tile Floor, seperate Vanities w/Granite, Walk-In Shower w/Bench, Tile Srrnd Garden Tub, & Huge WalkIn Closet w/Cstm Shelving! 2nd floor Bonus & Theater Rooms! MLS#2216086. 1128. 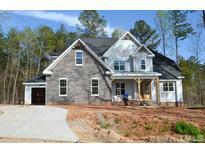 The Preserve At Smith Creek - Glamorous master bath with free-standing tub. MLS#2215807. 4613. Austin Creek - Unfinished basement provides additional opportunity for expansion. MLS#2215700. 3789. Open kitchen w/Island backsplash,Pull Out Drawers throughout cabinets opens to Family; Screen Porch, deck & fenced backyard;Built-In Storage in Mudrm; Laundry w/sink; Luxury Master Bedroom w/2 walk-in-clsts, amazing bath;2 Large Bedroom's w/Walk in Closet's & Bonus;MASSIVE 3rd Fl Unfin Attic (Storage or Room to grow);Top schools; Hardwood floors;Walk to Community Pool, Clubhouse. ;New Carpet & Paint;Home Warr. MLS#2215822. 1757. 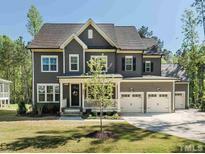 Austin Creek - This home’s 2nd floor features 3 secondary bedrooms; as well as a spacious master bedroom retreat featuring a sitting area with fireplace, spa bathroom with large walk-in closet, dual vanities, and a separate soaking tub/shower. MLS#2215678. 3789. No city taxes or restrictions. A must see! MLS#2214024. 635. FamRoom: Custom Surrnd Gas Log Fireplace w/Mantle & Hearth! Huge Recreation Room! MLS#2215410. 1128. MBath: Tile Floor, seperate Vanities w/QuartzCTops, Freestanding Tub, seperate Shower w/RainHead, Large WlkIn Closet! Huge Bonus! MLS#2215095. 1128. Heritage - Completion date is TBD. Photos are representative. MLS#2214865. 3957. 2nd Floor Petite Owners Suite w/Full Bathroom! SMART HOME TECHNOLOGY! MLS#2214492. 1128. MasterBath: Tile Floor, Dual Vanity w/Cultured Marble Countertop, Custom Cabinets, Tile Surround Shower, Walk In Closet! MLS#2214538. 1128. 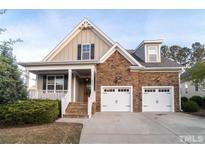 The Lakes Of Rolesville Cluster is a well-kept neighborhood and offers scenic views, a deck, a loft, granite kitchen countertops, granite master bath countertops, hardwood flooring, Enjoy a huge backyard. MLS#2214258. 4823. Ask about closing cost incentives available through preferred lender, Pulte Mortgage! MLS#2214262. 1570. Ask about closing cost incentives available through preferred lender, Pulte Mortgage! MLS#2214259. 1570. Galloway - Huge Recreation Room & laundry Room. Screened porch with ext fireplace MLS#2214186. 297. 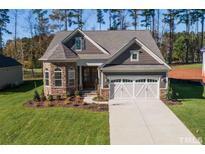 Glenmoor - Community is tucked away in a community off Thompson Mill Road with easy access to shopping, restaurants & US Hwy 1. MLS#2213824. 810. The Preserve At Smith Creek - Beautiful Wooded Corner Lot, Covered Rocking Chair Front Porch, Granite CounterTops, Custom Cabinets, Tile Backsplash, Gas Cooktop, Microwave, Dishwasher, Stainless Appliances, Entry Foyer, Spacious Family Room with Gas Log Fireplace, Hardwood Floors, Exquisite Master Bedroom,Tile Master Bath with Free Standing Tub, seperate Shower, Dual Vanities, Walk In Closet, Huge Fin Bonus Room Tankless Hot Water Heater. ENERGY STAR! MLS#2214021. 4613. Play golf, tennis or swim; the Hasentree amenities will not be beat! MLS#2209788. 4081. 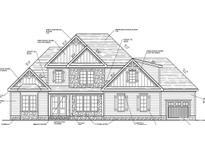 FamilyRoom: Custom Surround GasLog Fireplace w/Mantle & Raised Hearth, & 12' Double Slider Doors to Screened Porch w/Vaulted Ceiling & Fireplace! MLS#2213674. 1128. Covered Front Porch! Screened Rear Porch and Patio. MLS#2213666. 1128. Family Room: GasLog Fireplace, Crown, Recessed Lights & Ceiling Fan! GuestBed on 1st Floor! MLS#2213658. 1128.